You may be new to the experience of tinnitus, or you may have been suffering with it for a long time. Perhaps you know someone with the problem. For all of you, we have plenty of information that will help you understand and cope with this bedeviling condition that affects 1 in 5 people. Our specialists here at Florida Medical Hearing are trained to provide support for Tinnitus patients. Using the most advanced technology in the industry to treat Tinnitus and ringing in the ears. 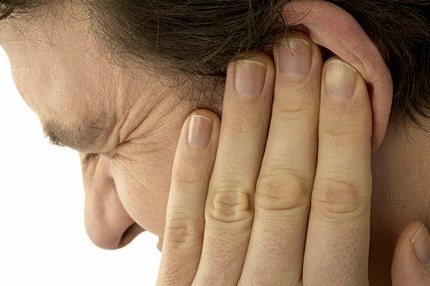 We can help diagnose and treat your Tinnitus within just one visit. Call us today or send in a contact form for a ZERO obligation, FREE visit to your local Florida Medical Hearing center. We have hearing care and Tinnitus specialists at all of our locations throughout Florida. Office locations with Tinnitus specialists: Orlando, Melbourne, Suntree/Viera, The Villages, St. Augustine, Winter Park, Eustis, Port Orange and more. The exact physiological cause or causes of tinnitus are not known. There are, however, several likely sources, all of which are known to trigger or worsen tinnitus. Certain disorders, such as hypo- or hyperthyroidism, Lyme disease, fibromyalgia, and thoracic outlet syndrome, can have tinnitus as a symptom. When tinnitus is a symptom of another disorder, treating the disorder can help alleviate the tinnitus. Ototoxicity – Some medications are ototoxic, that is, the medications are toxic to the ear. Other medications will produce tinnitus as a side effect without damaging the inner ear. Effects, which can depend on the dosage of the medication, can be temporary or permanent. Before taking any medication, make sure that your prescribing physician is aware of your tinnitus, and discuss alternative medications that may be available. There are some websites that provide information on drug interactions. Two popular resources for this are Drugwatch.com and the Physicians Desktop Reference websites.